Mabally, 13, is a Bagyeli Pygmy. 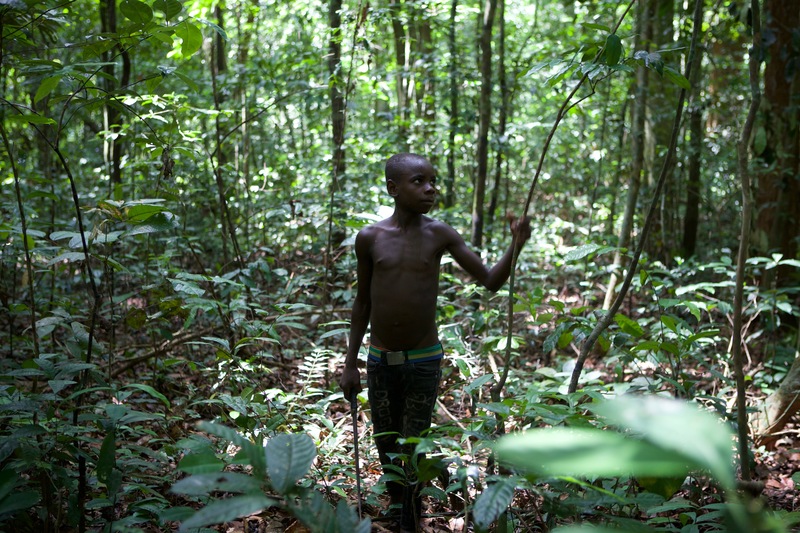 The equatorial forest where he lives with his family is the only world he knows. Every quarter he must cross the jungle to join his class of CM2. More than three hours of walking in the slippery clay hills of South Cameroon. 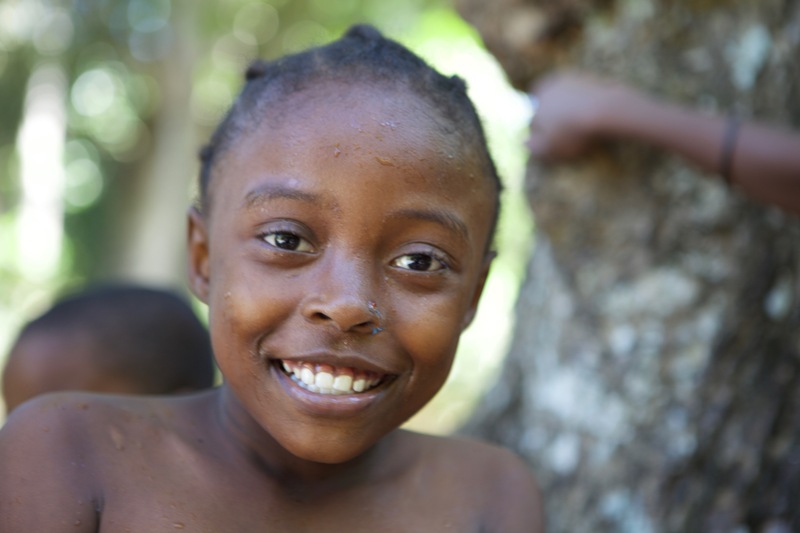 Nasta arrived one night in Mayotte in her mother’s arms on a clandestine boat when she was 4 months old. A little girl, saved from the waters, she goes through her slum four times a day to go to school. At 9 years Nasta, walk alone in this labyrinth of corrugated sheets. An hour and a half passed in the dust of a dirt road. 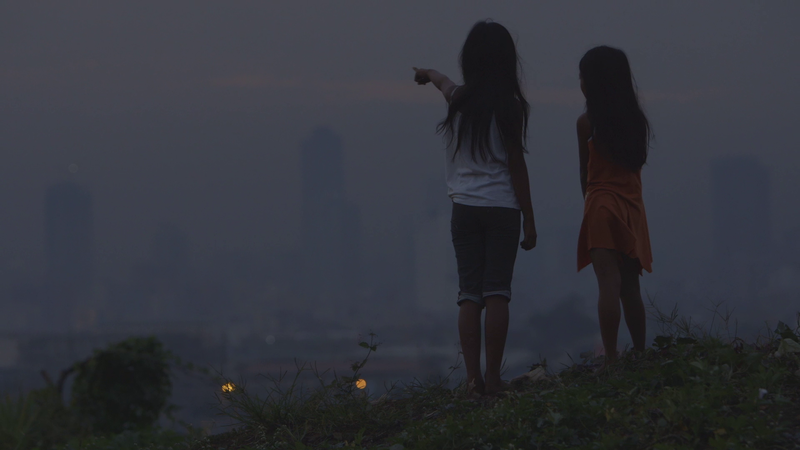 Niessa and Nicol live in Manila, one of the biggest metropolises in Southeast Asia, but also one of the poorest. They live in one of the city’s 500 shantytowns, in the heart of the “smoking mountains,” trash mounds formed by tons of waste dumped by the city. Every morning, dreaming of a better future, they sell sweets and necklaces to help their family, before walking for 3 hours in the middle of the toxic waste of Manila, to join their school. 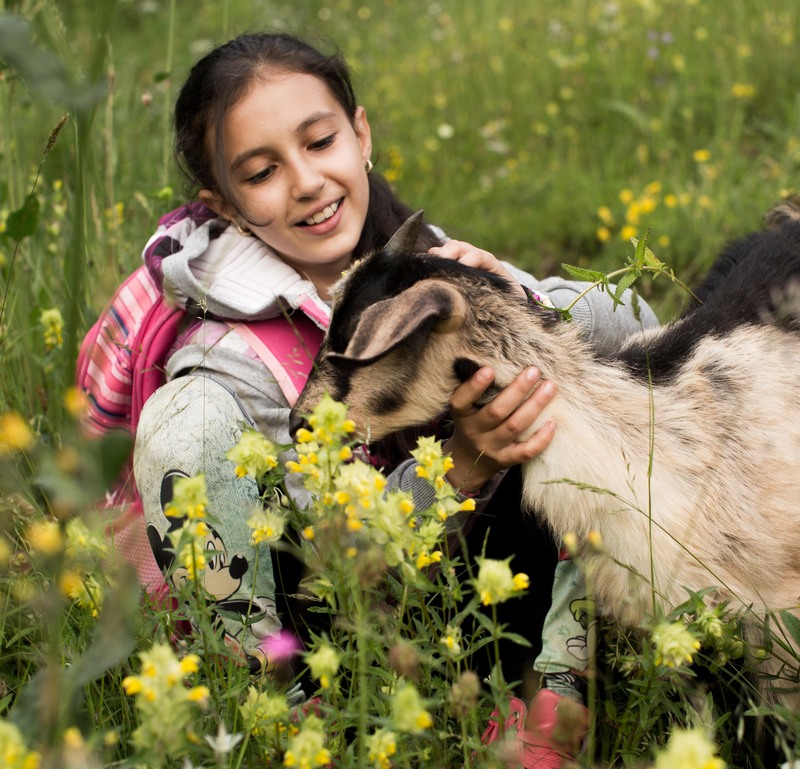 Luminita, 9, lives in Inelet, a tiny remote village in the heart of the Western Carpathians, in Romania. There, Bucharest the European seems far away. 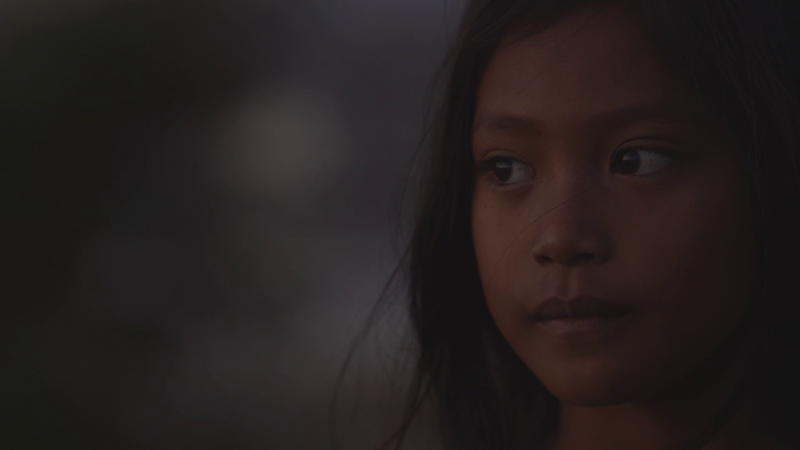 Cut off from the hustle and bustle of big cities, Luminita wants to join them later to become a doctor. 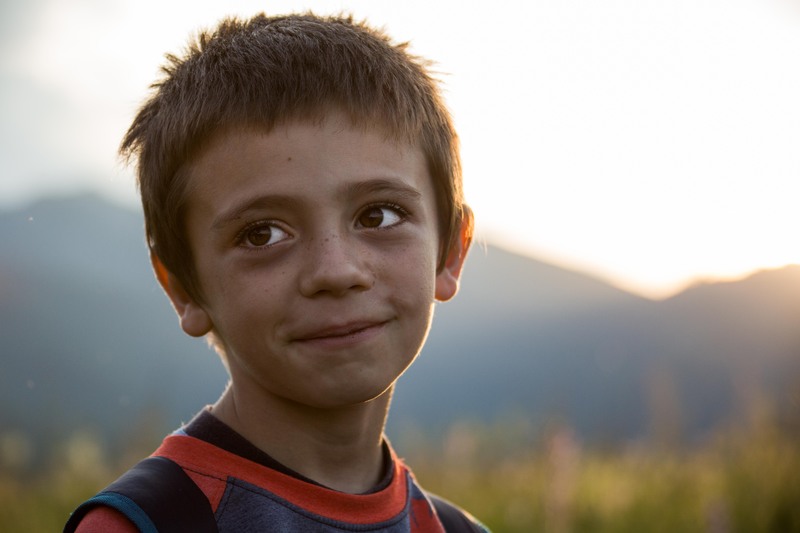 Each morning, at the head of a troop of three other school children, she walked 1 hour, sometimes 2, to rejoin her school perched on the rocky peaks of the Romanian mountains. William is 12 years old. 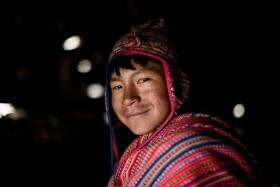 He lives in the small village of Chala Pampa, Peru, the oldest civilization in America. From a family of breeders, he lives at 4900 meters above sea level in the Peruvian mountains. 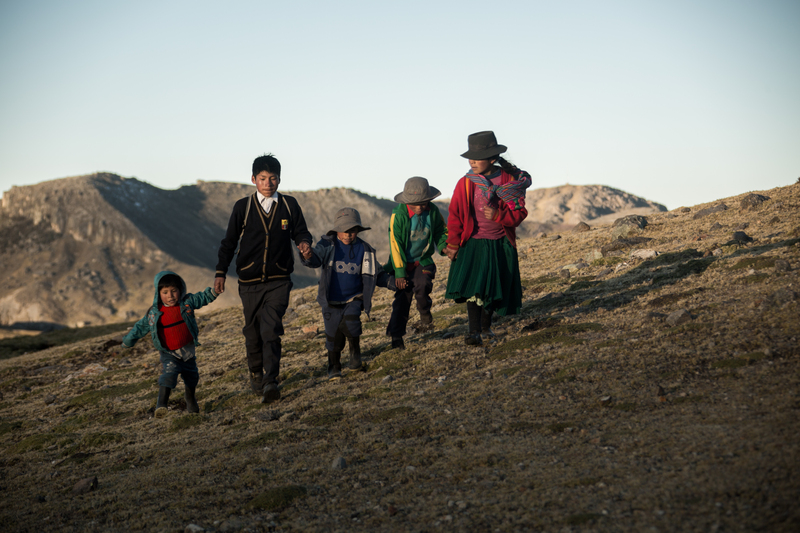 Every morning, William goes down for more than two hours to the steep summits of the Andes to join his school. 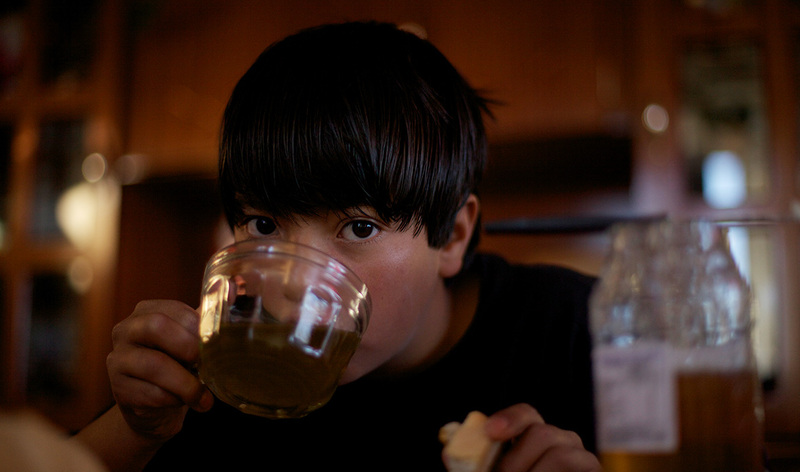 His parents encourage him every day in the hope of seeing him, later leaving the mountains and starting a new life in town. 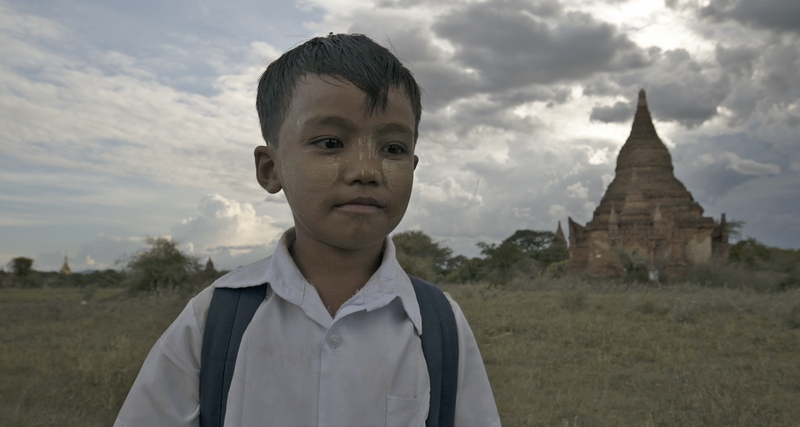 San, 10 years and Wai 9 years, live in Bagan in Burma, the land of the thousand temples. These thousand-year-old wonders have recently attracted many tourists to Bagan. 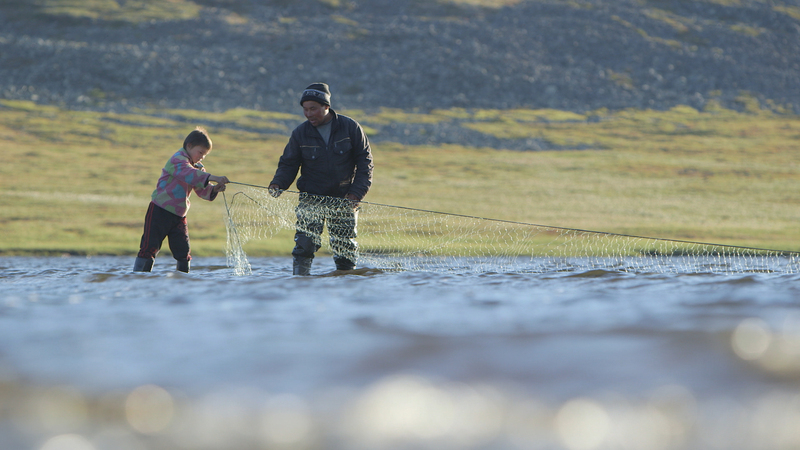 In order to pay for their uniforms and school supplies, San and Wai, who live by fishing and breeding with their families, make small handicrafts and sell them in the evening to curious visitors. They must arrive on time to join the wooden boats that take them to school every day on the other side of the Irrawaddy River. 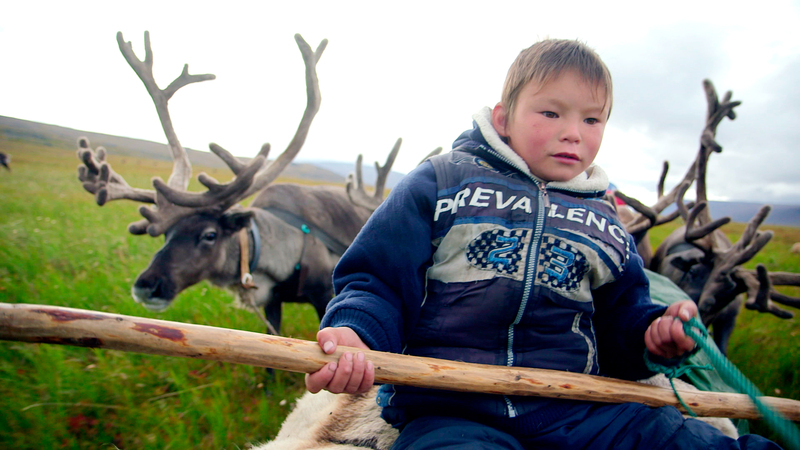 Stas, 7, is a Nenets, a nomadic herd of reindeer herders. He lives in the family tent, in the middle of the icy dunes of Siberia. 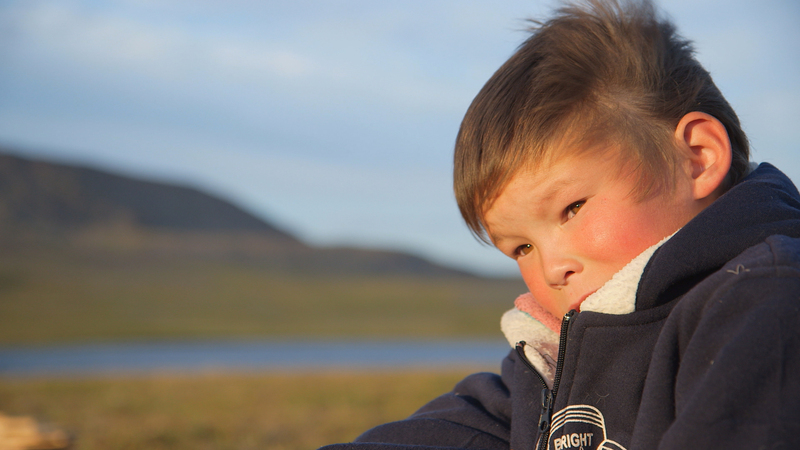 For the first time, he left his family and his thousand reindeer for 9 months to go to a boarding school in the city, several hundred kilometers from his camp. 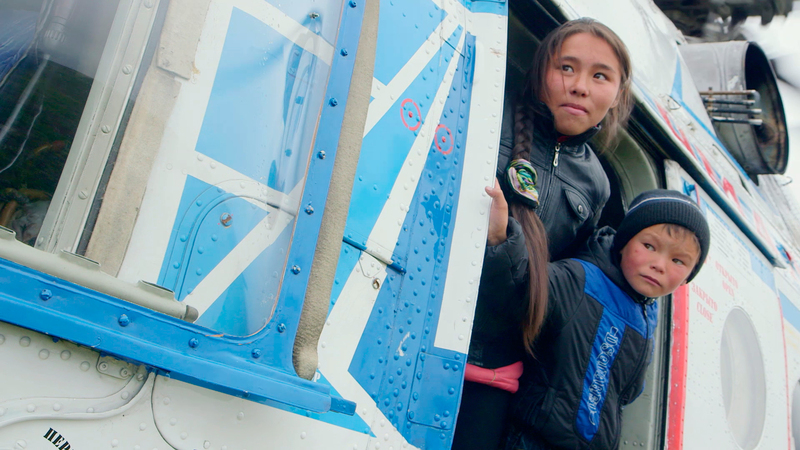 To cross the Tundra to sled would be too long, it is a helicopter that passes to recover the children from now on. But the weather is capricious, and this year the family will have to move their tent and her reindeer herd to join the next pickup, and allow Stas and her sisters not to miss the re-entry. 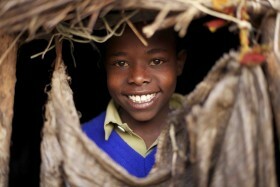 Jackson is a 11 years old Kenyan from the Sumburu tribe. 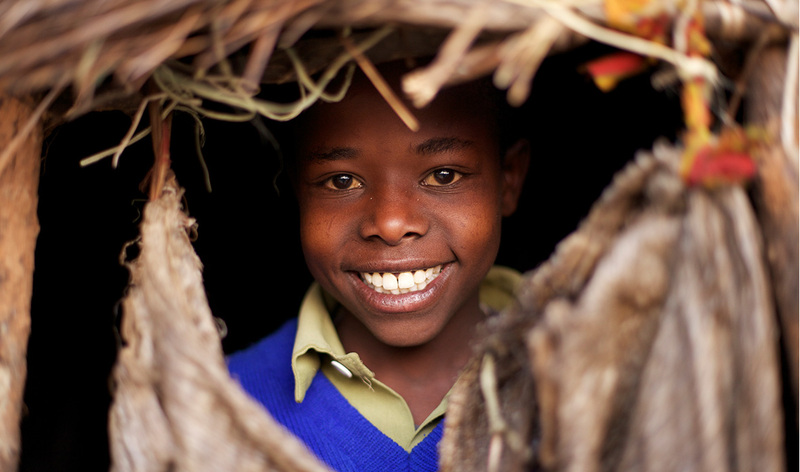 Every day he risks his life to get to school which is 15 kilometers away from his home. To get there he walks with his 6-year-old sister Salomé. During the dry season it is not uncommon for them to leave home on an empty stomach. Their route is very dangerous. Armed gangs attack villages, and elephants are very aggressive, often chasing and sometimes killing whomever they encounter. At the age of 11, Jackson already manages the family’s income, and sometimes the family’s relations with neighbours – which can be tricky. On the way to school, Jackson sets a fast pace. When Salome gets tired or frightened he holds her hand, reassures her, tells her stories or sings to her – but only in open terrain. Jackson and Salome are very close. He has looked out for her for years. Jackson wants Salome to study like he does so she will be able to take care of herself and choose her own future. He is always there for her if she has a problem in school too. 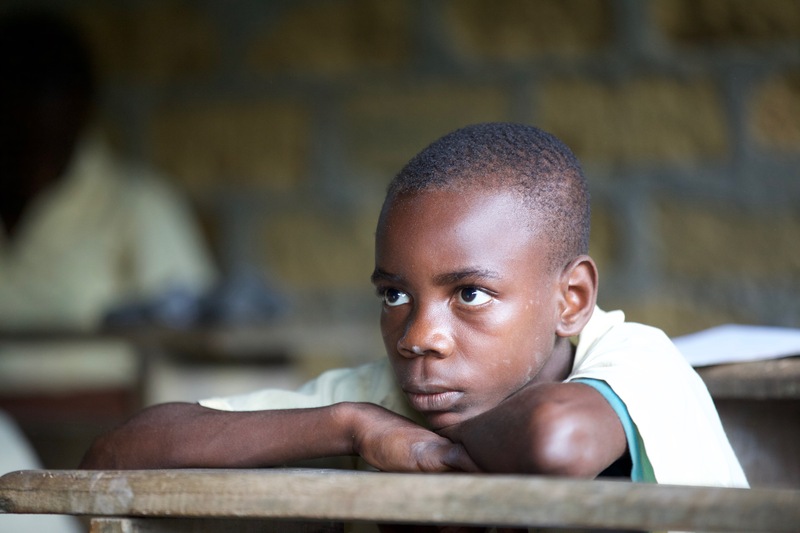 Despite difficult family circumstances, Jackson’s resolve to go to school is unshakable. Risking his life every day doesn’t stop him from being an A student. He has managed to secure a scholarship thanks to his impressive results. 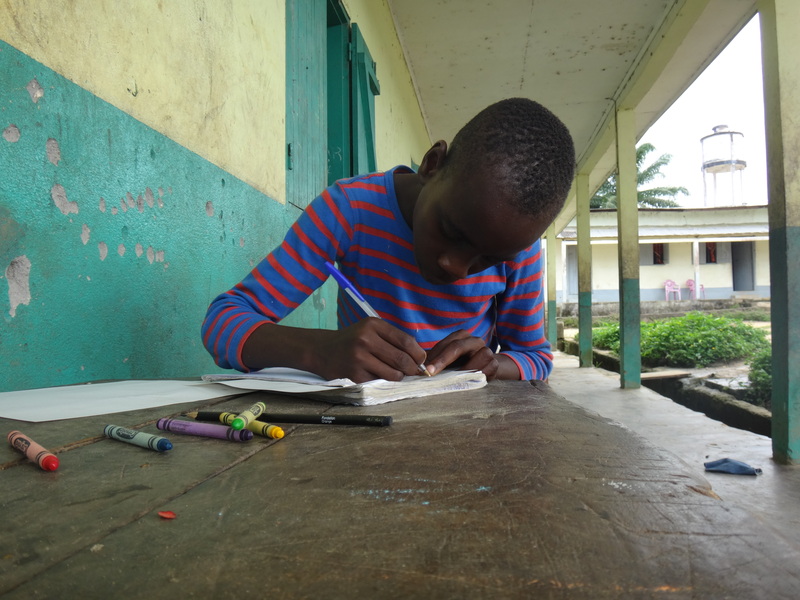 Each year he has to buy his uniform and pencils. His uniform is his most precious possession and he takes great care of it. 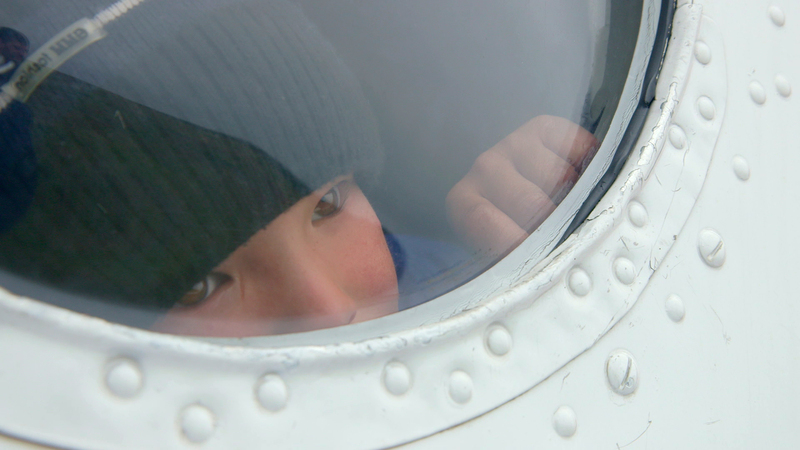 Even though Jackson has never seen an airplane he dreams of becoming a pilot and discovering the world. 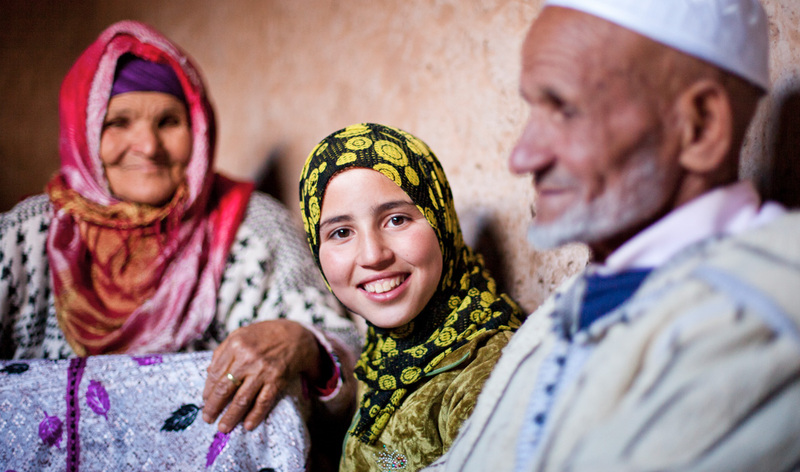 Zahira is a 12 years old Berber girl who lives in a remote village of the Imlil Valley in the heart of the Atlas mountains. 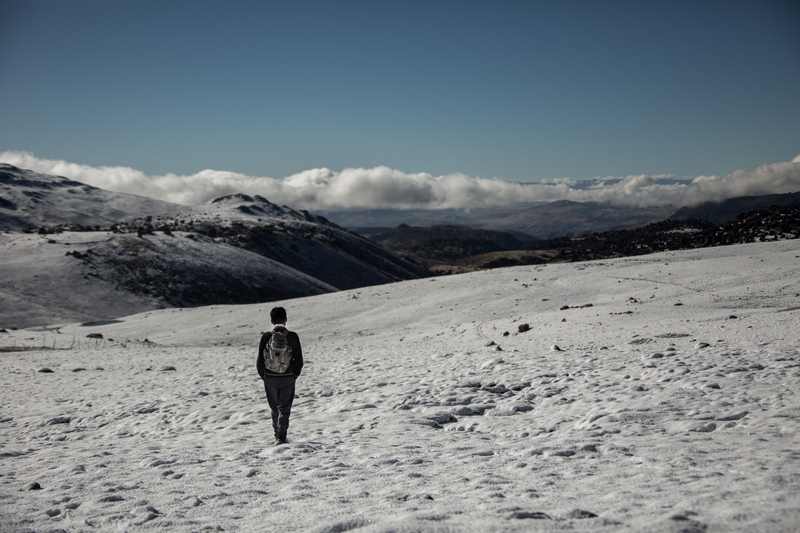 During winter temperatures can drop to -20 degrees and the snow falls for months on end. 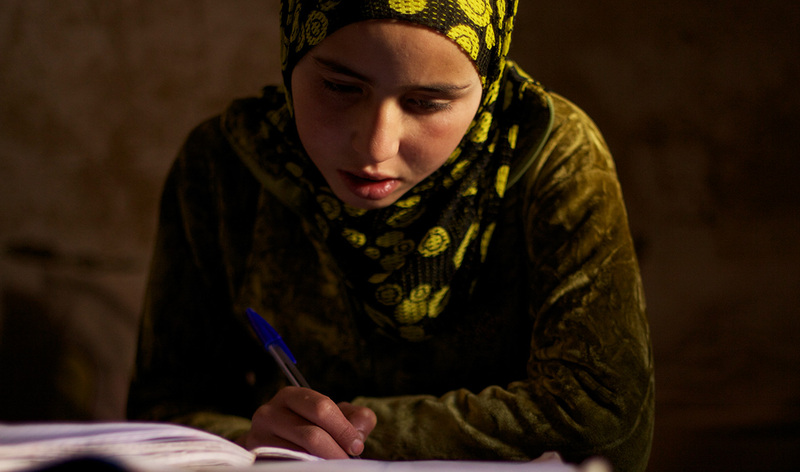 In these remote villages, education does not rank high on their list of priorities, especially for girls. 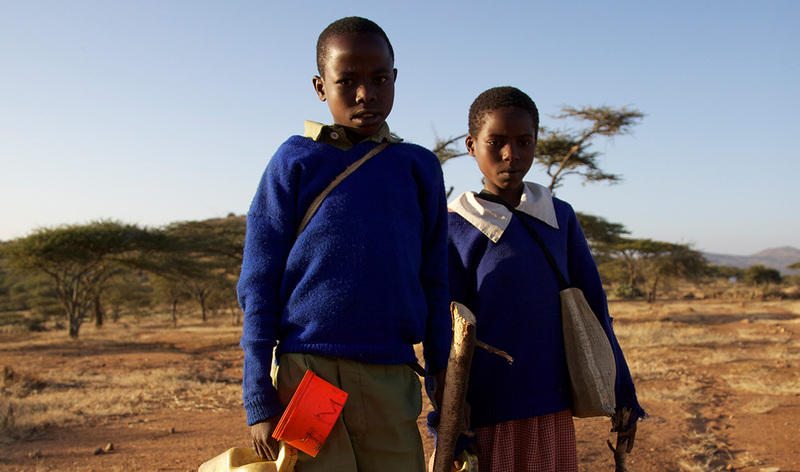 Even today, most fathers do not wish their daughters to go to school. Every monday, Zahira wakes at dawn and leaves her village to go to Asni’s Education For All boarding school more than 22 kilometres away. She is in her first year of high school. 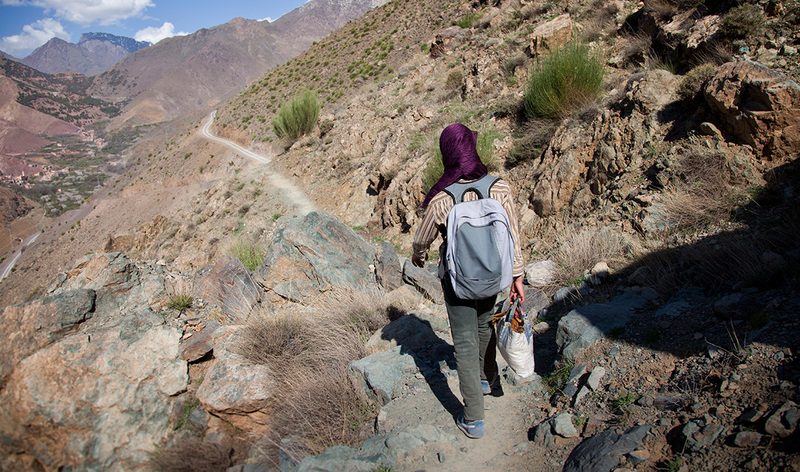 Zahira must cross peaks and valleys, often in extreme conditions. 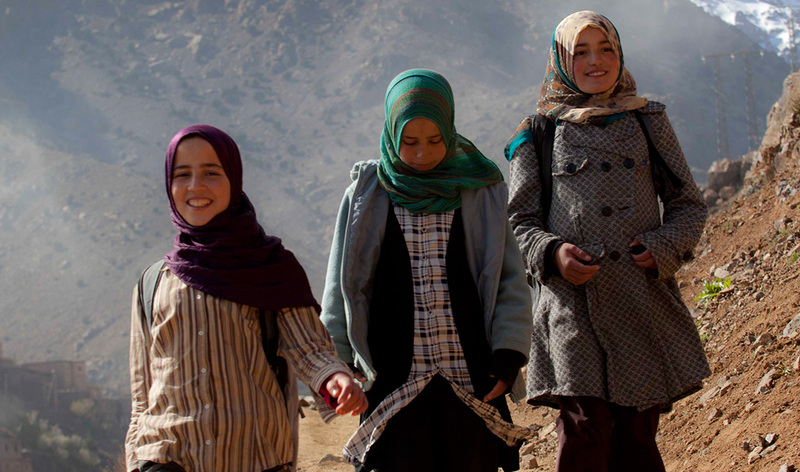 After a long walk by herself she meets up with her two friends Zineb and Noura who live in another valley. 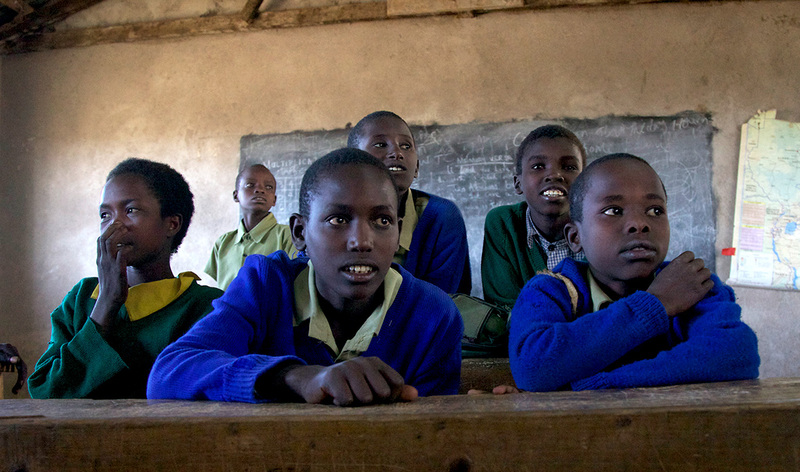 On the way they read their lessons out loud and talk about their lives at school. Zahira always leads the way. They have fun and share jokes but always worry about finding transportation once they have reached the highway because there are not many drivers who are prepared to take girls on board. 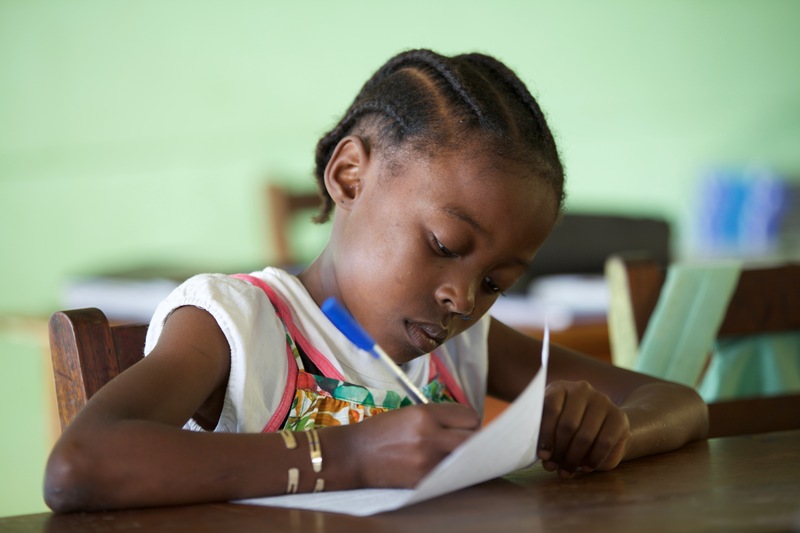 Zahina works hard and has always been at the top of her class. 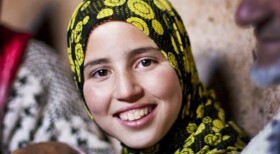 She has earned a scholarship thanks to her brilliant results and her parents are very proud of her. 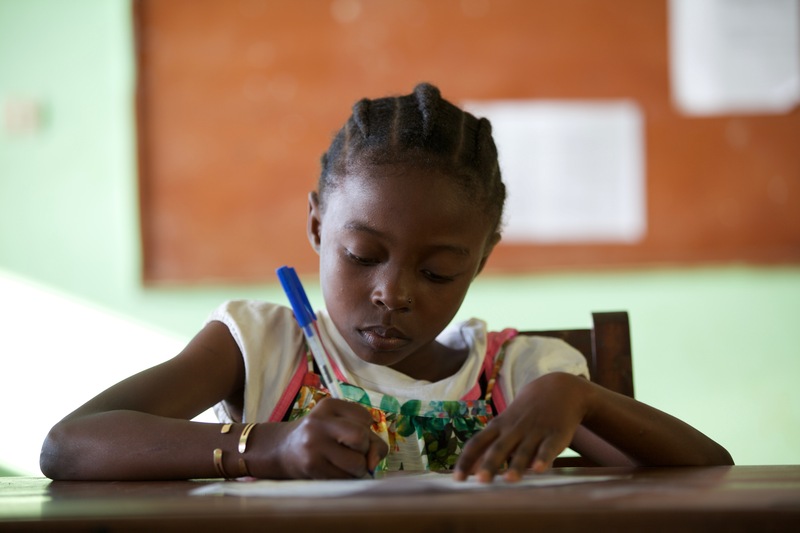 She is among the first of her generation to go to school. 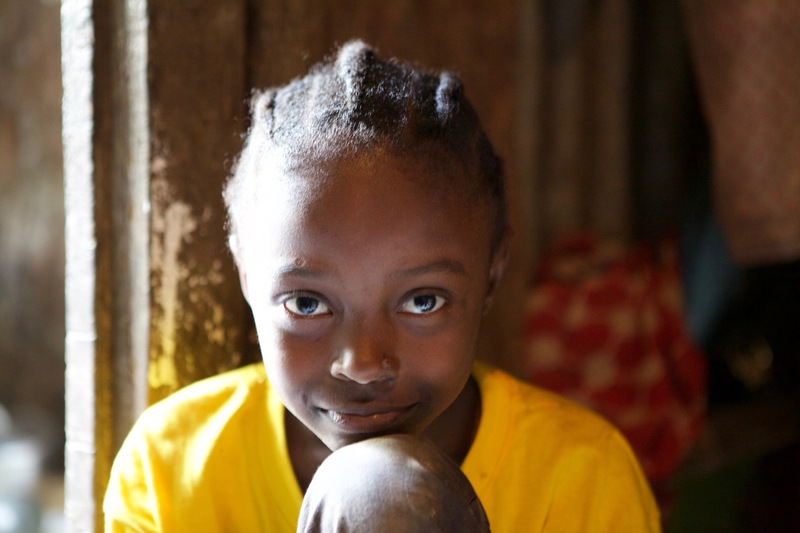 Zahira wants to become a doctor to help care for the poor. 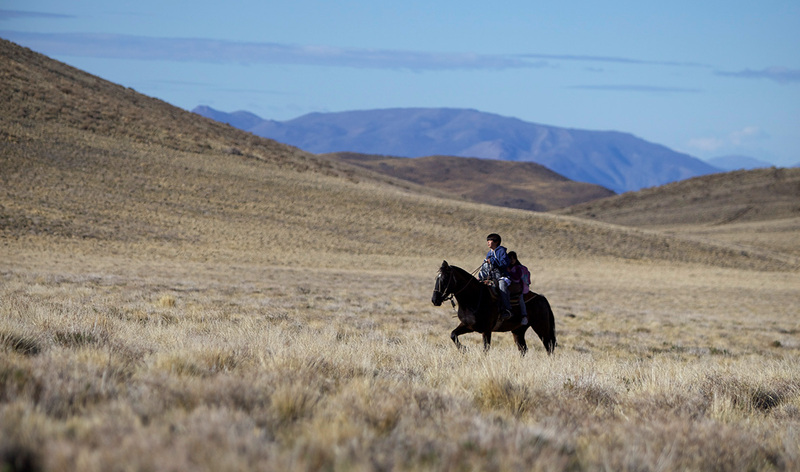 Since he turned 6 Carlito has ridden a horse over 18 kilometres to get to school every day of the week, through the mountains and great plains of Patagonia. The son of a shepherd, Carlito (11 years old) lives in a remote corner of the Andes, in a tiny house with his father Gilberto, his mother Nelida and his younger sister Micaela. The parents sleep on the bare floor and leave the tiny bedroom to their children. Even though their life is simple, it is a happy one. Carlito loves school. He wants to stay in his native region, near his loved ones, and become a vet. This year he is not alone on the way to school. His younger sister Micaela, only six years old now, goes with him every morning. On their daily journey they travel through magnificent mountain scenery. 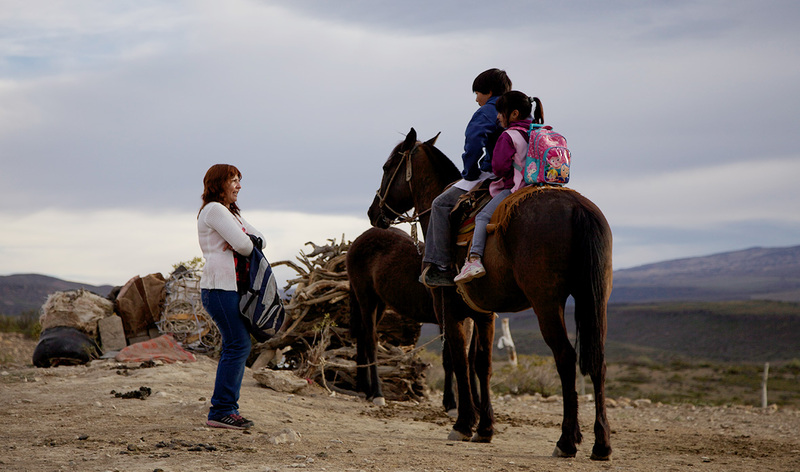 Their horse, Chiverito, is much more than a simple mount. The extremely rough terrain with often punishing weather conditions demand a perfect complicity between Carlito and Chiverito.Crossing the magnificent vistas immersed in the mystical atmosphere of the great plain, the young man and his little sister experience a veritable odyssey everyday on their journey to knowledge.